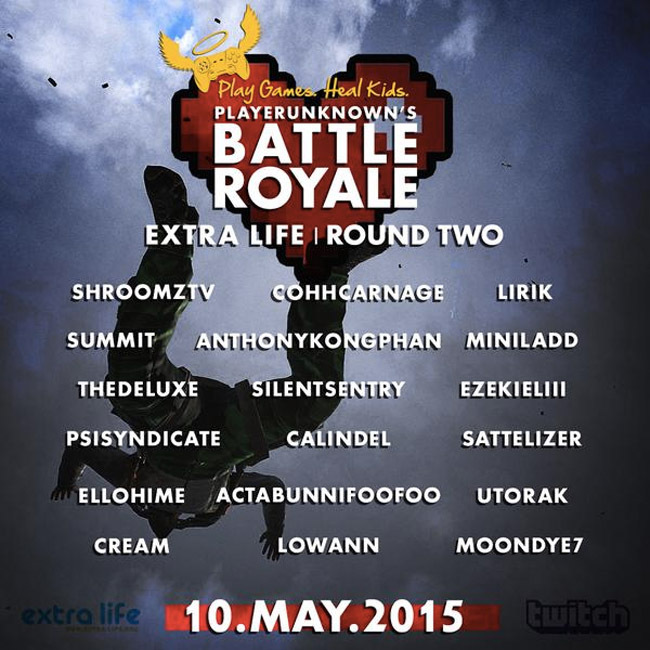 Next Sunday May 10th PLAYERUNKNOWN will be holding their second Battle Royale event supporting Extra Life. Over the past few weeks they have been introducing streamers who will be participating in the charity event. Above are some of the streamers that will be participating in the event, if you want to vote for someone who is a smaller streamer, you can send an email to [email protected]. The night will consist of 3 rounds, 2 solo rounds and one squad round. It will be shout-casted live on battleroyalegames.com/live, with behind the scenes camera control to ensure we capture all the action. All streamers involved will also have spectator access when they die, so you can watch the game-play from the comfort of your favourite streamers channel.